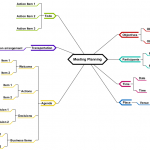 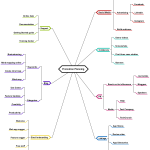 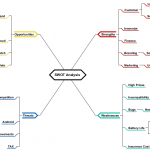 How to use Mind Map as Risk Management Tool? 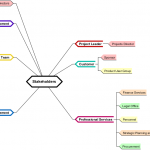 If any aspect of your job involves identifying and planning for potential risks, then a mind map can be a great way to do this, especially in the early days of identifying risks and brainstorming scenarios and solutions. 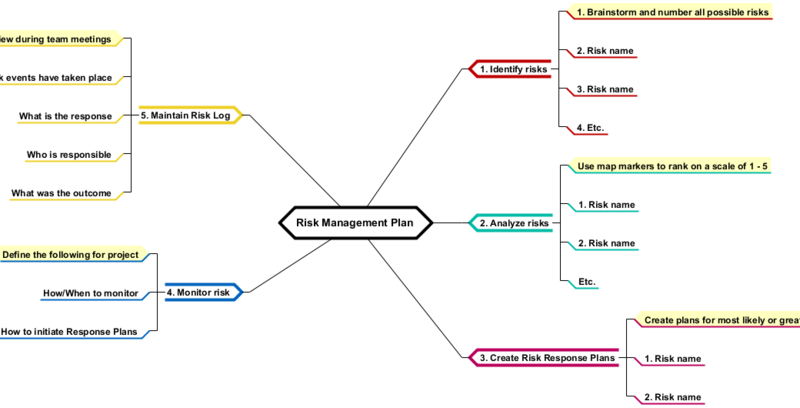 In this Risk Management process, it involves of 5 steps for the risk management lifecycle: 1. identify, 2. analyse, 3. create risk response plans, 4. monitor risk, and 5. maintain the log.